Silhouette Artist Karl Johnson Returns to Fiddlesticks! 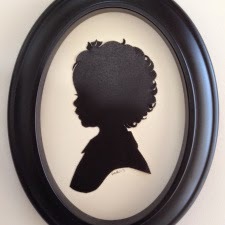 Get an heirloom portrait of your sweet ones, by 3rd generation silhouette artist Karl Johnson. Renowned for his abilities, each silhouette portrait is cut free hand and takes only 1-2 minutes so even the squirmy-set can be captured. Makes a great holiday gift for the grandparents, too! Registering in advance is recommended, click here to save your spot! When? Friday September 26th, 10-6pm. Where? Why at Fiddlesticks of course!